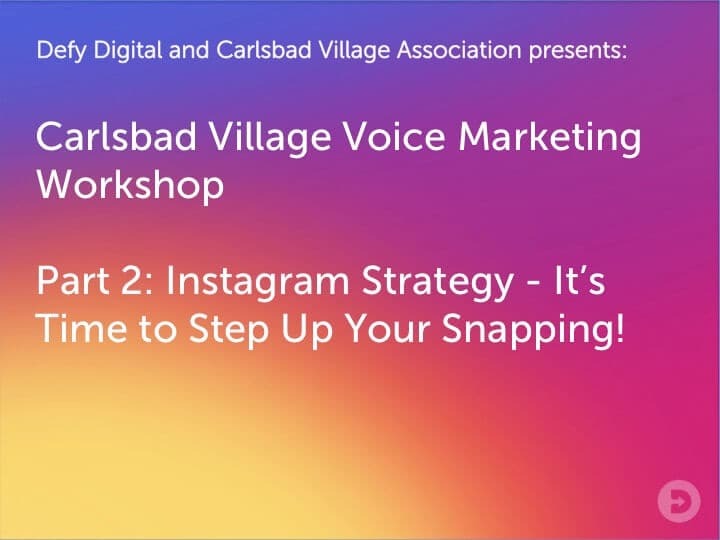 Post update Thank you for attending the March Carlsbad Village Voice Marketing Workshop. It was a pleasure! If you are seeing this page, you should have received an email with today’s presentation. To request the presentation again, click here. If you have any questions on the material we covered, don’t hesitate to contact us via the web, or call us at 760-576-4434. Come join us for another hour packed full hour of Village Voice meeting! Come meet your business neighbors, enjoy delicious complimentary coffee by Steady State Roasting, and stay connected! Oh, and we will be breaking down Instagram Marketing. In this session, we will cover the following points so you can become Instagram marketing ninja!